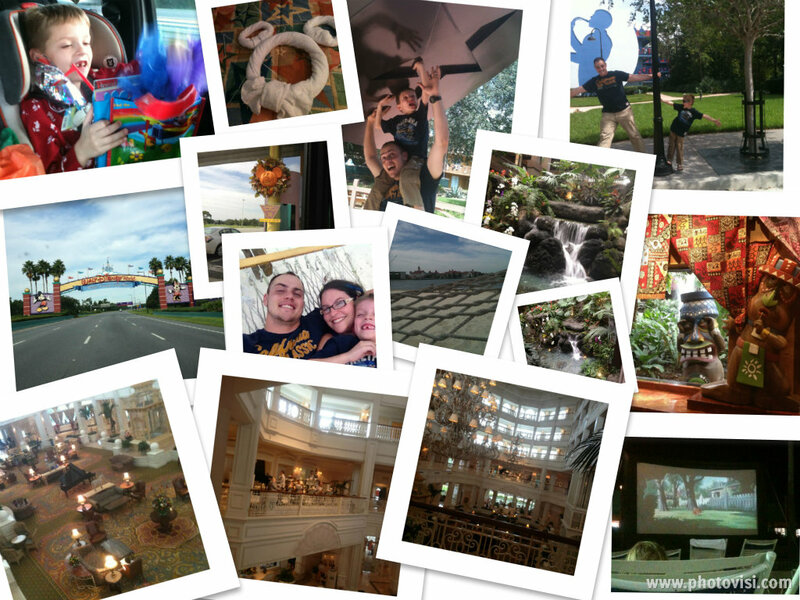 Disney Babies Blog: Guest Trip Report! Please welcome Alyssa - in September of 2012, she, her husband, and now 7 year old son spent 7 amazing days in Florida. Here is the first part of her trip! I hope you enjoy her story! We left around 10-11pm & my hubby, Nick, drove though the night from NC to FL. We went through Georgia & then finally reached Florida. Around 9:50 a.m., we made it to WALT DISNEY WORLD!!!!!! We checked in at the All-Star Music (value) resort and headed to the cafeteria to get our Disney Dining Plan cups. Unfortunately, check in forgot to give us our room keys! We had to go back and stand in a huge line to get them. When finally got our cups, we went to our room in the country fair area, big boots & all, then unpacked & went exploring! After exploring a little, we decided to tour some of the monorail hotels so we hopped on a bus to go to the Magic Kingdom! We took a boat over to the Polynesian resort and, my goodness, it is awesome! Flowers, waterfalls, and tikis everywhere! It's so nice with hammocks on the beach so you can relax. The sand was so white and the background music was very calming. After walking about the Poly, getting our leis, and letting our son, Nathan, color at their kid waiting area, we took the monorail over to The Grand Floridian. The Grand Floridian is insanely opulent and elegant. When you first walk in, you see huge chandeliers and a big old timey band playing classics like ‘It must be witch craft.’ The Disney touch is everywhere! Even the tiles have Disney characters in them but I’d like to think it's grown up Disney. :) There is a very lovely soap shop and all kinds of up scale shops to look, play, and shop around at. When our time had come to leave the Grand Floridian and head back to our hotel, we took the monorail back to Magic Kingdom and then took the bus back to the hotel. Nathan passed out on me on the ride, we went back to our room, had sandwiches for dinner, then went to the pool to watch the movie at the pool where we enjoyed part of Lady & the Tramp. When Nathan got sleepy, we headed off to bed I can't tell you how relaxed we were on our first day. Even though we weren't in the parks, it can be so nice just to look around!